They are very much like us. Some are fiercely devoted to their work. if they picked the right side. 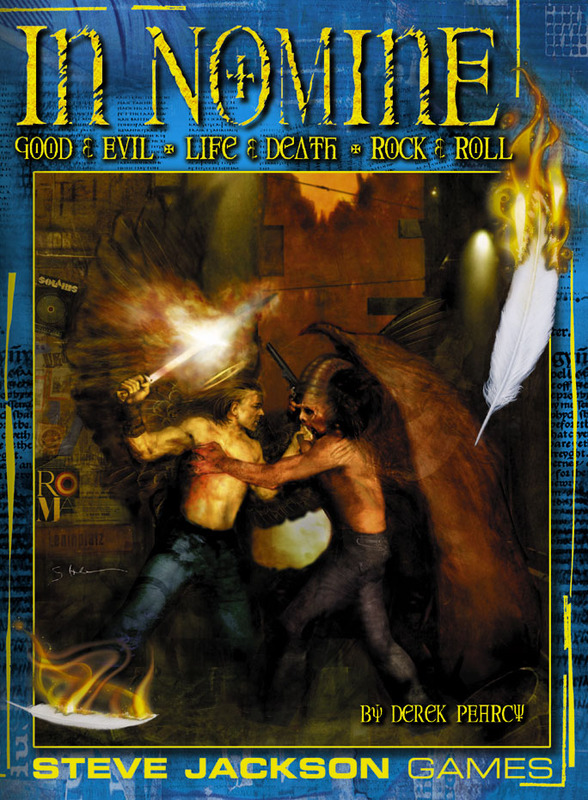 In Nomine is a modern roleplaying game in which the players take the part of celestial beings – angels and demons – as they struggle for control of humanity and themselves. The celestials, powerful though they may be, are merely pawns in a much larger game being played by their Superiors, the Archangels and Demon Princes. Warehouse 23 offers scenarios and Superior writeups (and more support is coming), in digital form, for In Nomine – as well as many of our other game lines. Surf our site for the files you want . . . and buy them now with a credit card or PayPal. FAQs, articles, mailing lists, reviews, unofficial In Nomine sites, and much more. MUSHes and other online environments for In Nomine. Character sheets for In Nomine, provided by Tafka J. Discuss In Nomine in the Steve Jackson Games Forums. We're not quite sure how we got this, but it's very useful: a one-page collection of all the angelic Choir resonance check digit tables.